I find it interesting that Kdude just this weekend asked me if I'd ever heard of this latest craze. Well, the EPA has stepped in and said that 'Rolling Coal' is ILLEGAL! Go figure, but it sounds like a sensible thing to do, in this case. What do you think? 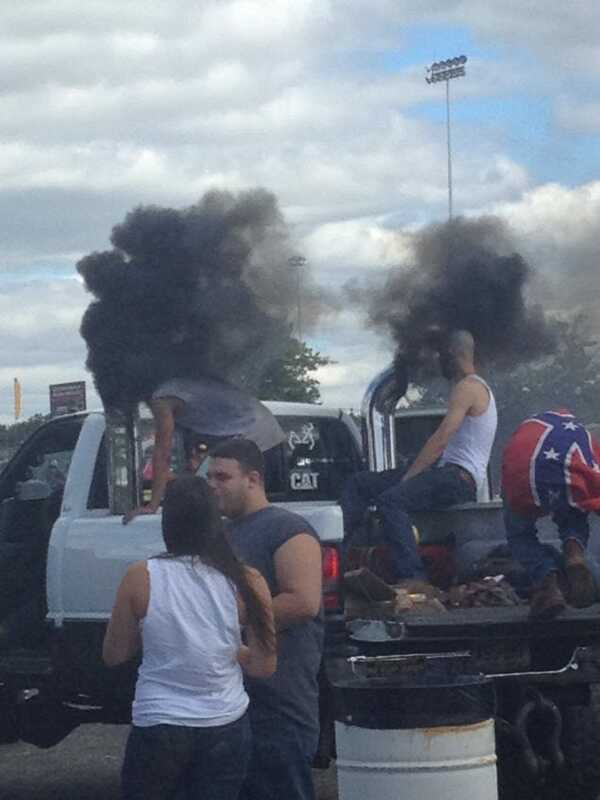 In case you've missed this weird bit of non-controversy over the past few weeks, it all began when Vocativ first ran a story the other week about the phenomenon known as "rolling coal," or basically just driving an enormous pickup with a diesel engine with noxious black clouds of smoke blowing everywhere. It's not exactly new, but this time, the story's picked up a bit of a political flair. On 2 other forums Ive frequented for the past 7yrs (both Duramax. One heavily "geared" tward truck pulling/ drag racing modifications ) there will be fools who will post the question, How do I get my truck to "roll coal"? or they will post a video or something of them doing it. In every case Ive seen they IMMEDIATELY gotten flamed to submission by the other members of the forum......Im talking pages and pages of language that shouldent even be typed or spoken in a sailors bar. Typically you never see or hear again from the OP (some times the OP learns the error of their ways and sticks around). The members of the forums that im familiar with look at "rolling coal" the same way we in the 4wd world look at some schmuck out tearing up the desert/forests. But like most things its the few AZZHATS out there ruining it for the many. What are those two fools doing in the photo? Huffing! They obviously had too many live brain cells so they are killing a few! Fortunately getting their genes out of the pool!